“I’m firmly convinced there’s an agency, and there is an effort to suppress,” Halt told an audience of 200 people Saturday night at the Smithsonian-affiliated National Atomic Testing Museum. “I’ve heard many people say that it’s time for the government to appoint an agency to investigate,” Halt said. “Folks, there is an agency, a very close-held, compartmentalized agency that’s been investigating this for years, and there’s a very active role played by many of our intelligence agencies that probably don’t even know the details of what happens once they collect the data and forward it. It’s kind of scary, isn’t it? “In the last couple of years, the British have released a ton of information, but has anybody ever seen what their conclusions were or heard anything about Bentwaters officially? When the documents were released, the timeframe when I was involved in the incident is missing — it’s gone missing. Nothing else is missing,” he said. Halt added that he’s never been harassed over the reports he made about the Bentwaters UFO incidents. While the lecture panel members didn’t always see eye-to-eye on the details of specific UFO cases, one common thread ran through them. “We share a couple of very important things: We’ve all been dedicated to serving our country and been very serious about it,” said museum CEO and executive director Allan Palmer, who had a distinguished career as a decorated jet fighter pilot for both the Air Force and Navy. “These are not flaky people, who’ve all held very responsible positions with high-level security clearances. They’re not the kind of people who tend to imagine things or go off on a wild tangent on something. They’re very professional, very business-like,” Palmer told The Huffington Post. “We were moving at maximum continuous power for the B-25, about 300 miles an hour, and we got right down to the treetops and I closed in on it very rapidly. I said I was going to overtake it — ‘Hang on and put your seat belts on’ — and I made a hard 90-degree bank to try and pull up alongside of [the UFO] and it wasn’t there. “I zoomed up about 1,500 feet, and then I could see the object right on the deck over a freshly plowed field moving at a pretty good speed, and it [was trailing] two vortexes.” When Coleman dove behind the trees to try and “head him off at the pass,” the UFO was gone. He said it was a typically reported flying saucer. During the time that Coleman was the Project Blue Book spokesman, the director of the Air Force study was Col. Bob Friend. He disagreed with the Air Force’s negative conclusions about UFOs in 1969. “My primary explanation for these things is that, yes, they’re real, and I think it would be much better if the government or some other agency was to take on these things and to pursue the scientific aspects of it,” Friend said. At Saturday’s lecture, Friend, at right, offered an olive branch to the many people who claim to have seen UFOs but have been reluctant to report them out of fear of not being taken seriously. “While I apologize to those people who might be expecting or hoping for a ‘spaceship in a hangar’ smoking gun, what you are getting is the real deal: an insight from people who have looked at this mysterious and infuriating subject for the government,” said Pope, a former UFO investigator for the UK Ministry of Defense. Pope recounted how the UK’s former official committee, known as the Flying Saucer Working Party, concluded in 1951 that UFOs were just misidentifications, hoaxes and delusions, and that no further time or effort should be wasted on the subject. “Unfortunately for them, in 1952, there was a wave of sightings throughout the UK, where most of the witnesses were Royal Air Force pilots, some of whom chased these things, and many radar operatives tracked them,” Pope said. Another UFO lecture panelist, retired Army Col. John Alexander, was a former military insider who convened a special group in the 1980s called the Advanced Theoretical Physics Group, whose members were culled from the military services and the aerospace and intelligence communities. 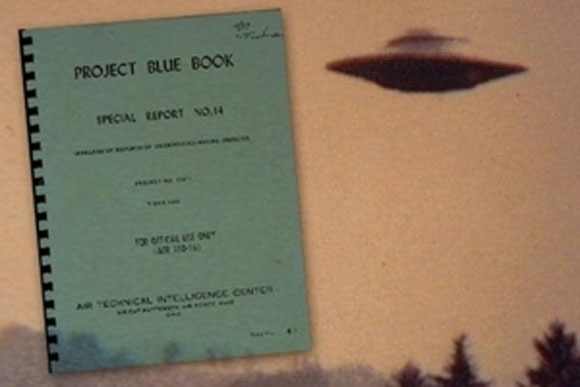 They concluded that while there had been numerous cases of credible UFO encounters, the group couldn’t find any evidence of any actual government cover-up. Alexander cited a variety of intriguing UFO cases involving pilots and told the audience that UFOs are “real and is a global phenomenon — not something that just happens in the U.S. While no ET body or piece of alien spaceship was brought forward and presented to the audience, those who attended the presentation seemed to appreciate the participants’ candor.